﻿ Puerto Apartments, Palawan | FROM $12 - SAVE ON AGODA! "Feels like home, very accessible and staff were friendly." Have a question for Puerto Apartments? "The staff is very accommodating." "The place is affordable and clean." 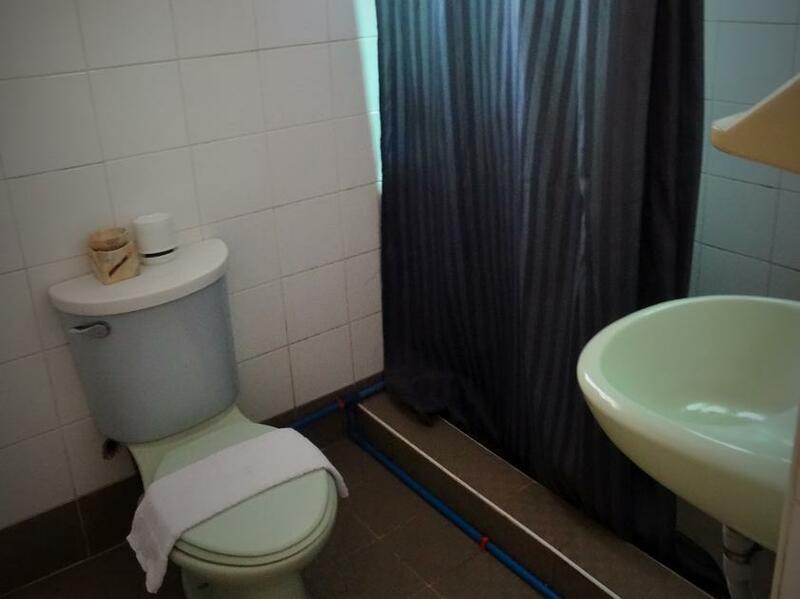 "Accessible for Jollibee delivery rooms are spacey with kitchen utensils best emergency overnight stay for travels with early flight schedules in PPS area"
"Puerto apartments was a hospitable home to stay." Situated in Puerto Princesa, Puerto Apartments is the perfect place to experience Palawan and its surroundings. From here, guests can enjoy easy access to all that the lively city has to offer. A haven of rest and relaxation, the hotel will offer total renewal just steps away from the city's numerous attractions such as Puerto princesa sports Complex, Ramon Mitra Sports Complex, National highway. At Puerto Apartments, the excellent service and superior facilities make for an unforgettable stay. Free Wi-Fi in all rooms, 24-hour security, kitchen, luggage storage, Wi-Fi in public areas are just a few of the facilities that set Puerto Apartments apart from other hotels in the city. The ambiance of Puerto Apartments is reflected in every guestroom. television LCD/plasma screen, linens, towels, internet access – wireless (complimentary), non smoking rooms are just some of the facilities that can be found throughout the property. The hotel's recreational facilities, which include golf course (within 3 km), garden are designed for escape and relaxation. Puerto Apartments is a smart choice for travelers to Palawan, offering a relaxed and hassle-free stay every time. Puerto Apartments is a one jeepney ride to airport, town proper and palawan provincial capitol (P13.00 fare), one tricycle ride to Public Market/Robinsons Mall/Terminal for only P30 good for three persons. The room is very clean. You can cook!! Complete kitchenery - rice cooker, gas stove, heater, refrigator and utensils. Its all worth it plus the very accommodating owners. The apartment is so worth it. The place is clean and organized. Utensils for cooking are also available. Though it is not near the city center proper but the transpo to and fro is not a problem. Also, the staff is very accomodating. Highly recommended for group travellers. Puerto apartments is quite a nice place. Staff were very understanding and accomodating. It made us feel a bit at home as they gave us a big room and you had kitchen to cook. The place was very clean and relaxed.The staff helped us in everything we asked for. The only negative thing is the location, a bit far from the city center but in a convenient location if you rent a bike and explore around the coast of Puerto Princesa.Also very near from the bus station. We would defenetely come back! I would just suggest that the kitchen should be outside the room. we had a house. lol. it was really nice to be able to cook in the house is quite big for 5 people. Well we book the good for 7 house but still, we really love the fact how we can move around so freely. Also, there's a cute resto beside it named coco garden cafe. the location is just along the hi.way so there were convenient stores beside the place. it was a very relaxing stay. The location is great, it’s just along the road from the main treet. We have paid 1000 for 8 persons. 2 kids and 6 adults. The house is spacious and fully furnished. There were 2 rooms. Kitchen, utensils, refrigaretao, dining table and television. 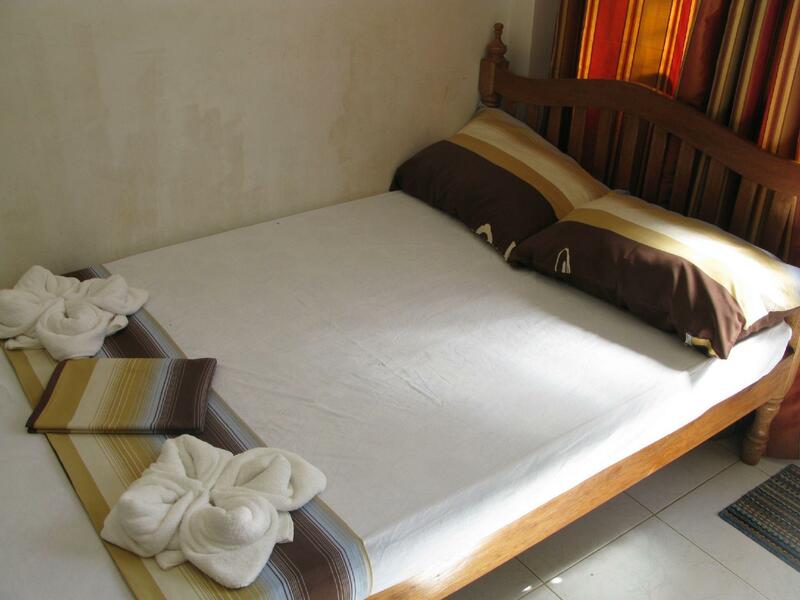 Both rooms are airconditioned. We’ve saved alot when we stayed here for vacation. There are walking distance eatery. Just accross the street when you get out of the gate. The kids were safe and it’s easy to find. I will recommend this for travellers. We had a great stay with Puerto Apartments. :) Carol was really nice and accommodating. She also arranged our tours for our stay and it was really smooth. You can never go wrong staying with this accommodation. The staff is very accommodating. The place is affordable and clean. There's no free breakfast but you can cook your own meals with free use of utensils, stove and gasul and rice cooker and have refrigerator inside the room without any additional charges.I recommend it to my friend and relatives if they want to go puerto prinsesa. The house is enough for a family! It can accomodate 8 persons. 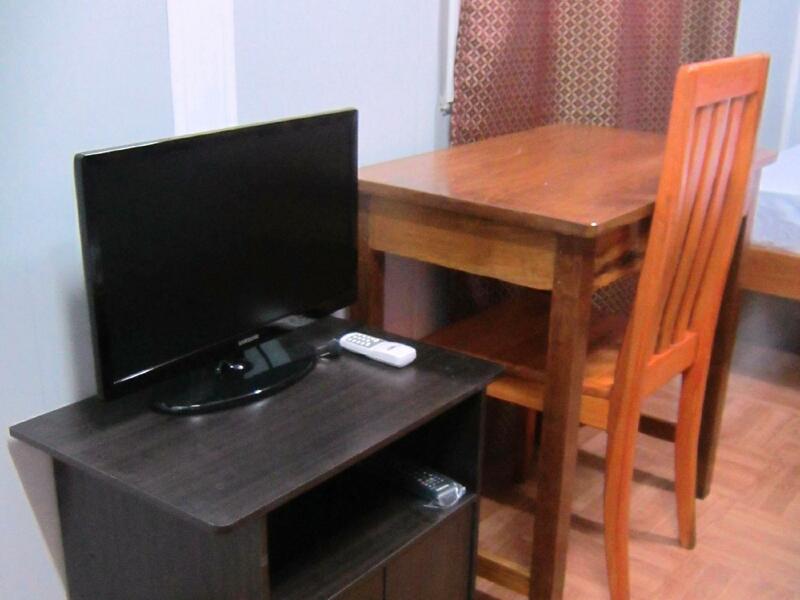 Free use of tv, gas range, ref, electric kettle, A.C for 1,000 pesos only. We have saved alot from the accomodation. We cook at dinner time and break fast time. It’s spacious to accomodate a family. Very nice for big groups or transit backpacking. We were 6 and apartment meet all our needs. Love that we had a stove and able to cook. Thus saving money even more. staff are not friendly not well trained, they tried to aviod the concerned of they're client . location is very far from the town . Puerto apartmets are not safe for the guest no security . Or staff that will look after the place while every one was sleeping at night .These place is very dangerous for the safety of guest lack of security . I only stayed here because it’s near Robinsons Mall. I only travelled to palawan for pp renewal. The staff is accommodating, we were able to book a last minute island hopping. The place is neat and clean. Puerto Apartments is perfect for vacation with family! It is very cheap yet the quality and experience is superb! Staffs are very accommodating and helpful. Despite the very cheap price, the place is complete like home. They have gas stove, ref, dining area, sala area and two rooms with aircon for a very cheap price! Will definitely recommend this to my friends! Location is along the main road to Sta Monica. A bit far from town (around 15mins) but you can take any jeepney going to Sta Monica (cost around 12-15p). There are also a lot of tricycles just in front of this place. Staffs are helpful. From the airport, walk towards the national road. Ride a multicab with sign board: "Sta. Monica" and fare is just p12.00 per head. (please take note that riding a van or taxi at the airport costs so much). Tell the driver to drop you off at the Seed Farm. Puerto Apartment is right across. 1. the rooms are clean. 2. with Aircon 3. ref 4. TV with local channels 5. beds 6. clean CR. however, no heater the staff members are friendly and accommodating. they also have a kitchen where you can cook. wifi is fast, depending on the number of users. overall: Perfect place to stay especially for travellers. Quite far from the city center and very dark in the evening. Not a lot of establishments around. They don't do room service also and there's no water heater. But the personnel and service staff are really friendly and can do you a couple of favors if you ask nicely. We stayed at the two bedroom apartment. The place is clean and very spacious. Ideal for big groups or family and plans to have some bonding activities or just lounge around the house. A bit far from the city proper but jeeps ply in front of the apartment. There is a good cafe next door for a quick fix. Reception is not 24 hours and they messaged me to know my checkin time so they can arrange (not sure if this is because the reception was under renovation that time). They will give you the keys to the gate and house so you can stay out late. Kitchen facilities are complete and they provided a 5 gallon container with drinking water.